Imagine, for a moment, the first day of your first job. Were you nervous? Anxious to get out there and prove yourself? Did you wonder which fellow co-workers were going to become your friends? Were you afraid to make a mistake? Developing community begins on day one for every employee. Make sure you and your management team takes the time to get to know every single person that represents your studio. Invite new employees to lunch on the first day and discover their personal aspirations. What do they do for fun? What motivates them to be the best? As they say, “begin as you wish to proceed”. Begin building community from the minute each new employee walks in the door. In order to set the expectation that community is important to your studio, consider scheduling team-building events with regularity. For example, let your staff know that every week at a designated time all staff will workout together to share ideas, best practices, and for friendly competition. While you may find that staff workout together anyway, you should still schedule regular, weekly group workouts to show that you believe in the power of community. One occurrence in which this expectation is not upheld will show a break in this value system, and employees will notice. Whatever your community-building event might be, be certain it is never canceled or rescheduled and your team will impart this “no excuses” attitude down to their clients. A good litmus test for knowing you have created a strong community is to ask others to lead their own events, and provide them with the tools necessary to execute them. For example, ask your aspiring managers to design a team-building activity for all staff, following specific parameters that you assign. This will not only show you are a confident leader, but it will illuminate innovative new ideas that can shape the future trajectory of your business. I remember a time when I was approached by a trainer. I didn’t know how to respond… but I did. And we kept talking about Hollywood gossip. And it was refreshing, and it was comfortable, and I wasn’t being sold anything, so I kept talking. And every subsequent day, when I would walk in for my 4 sets of 12 reps workout, I would see Josh. He would fist pump every time. Ten years later, we’re still in touch. Getting to know your members starts with a conversation – any conversation – and building upon those touch points. So how do you engage more with the clients within your studio or gym? Social media that solicits a response will get your members talking. Challenge them. Ask a question. When you can solicit comments, you have engaged your member without them being physically present, thus increasing their involvement with your business. Your monthly e-newsletter has the opportunity to direct your members to a myriad of resources. Provide a variety of “calls to action” within your newsletter, and simplify their search for solutions by providing hyperlinks to the areas of your website in which they can sign-up or purchase the items you reference. Expert tip: choose a key member to showcase who has made great progress and make them Member (or client) of the Month! Whether it’s attending a certain number of classes or losing their goal weight, tell your other members about their success. Add to your website as well as showcase in house somewhere such as a bulletin board that also shows changes in upcoming classes or other events you are hosting. An Open House is an opportunity to build connections among other members in your club. When members are friends, they remain loyal members. How many new friendships can you form? Generate a member satisfaction survey, and poll your members in person. While the content of your survey may not be life-altering, it should generate follow-up points that your survey collectors are trained to respond to. The goal here is not to survey members as quickly as possible; leverage the conversation starter to have a lengthy, meaningful conversation. It could be as simple as handing out paper surveys or having a link on your website. This helps to foster relationships as well as increase rapport. And let’s face it, we can always use the feedback in order to help make changes to keep those folks coming back! Retention is key in this business. Make sure you are putting efforts in place to foster relationships among staff and clientele in order to make this happen! When surveying your members, you might also find out that they’re looking to do something together outside, at a local bar or restaurant. Doing so provides an opportunity to invite all your clientele and for them to invite their friends! It can be used as a member appreciation event and is a great way to help individuals meet your other staff and each other. Remember, the likelihood of you retaining clientele will be directly affected by the relationships those individuals create in your fitness business. Mike Ryan is a graduate of Northwestern University, veteran to the fitness industry and the lead research analyst for the Association of Fitness Studios. A fitness expert, he most recently lead the most rapidly growing fitness department in one of Chicago’s most upscale, premium health and fitness clubs. He has a passion for leadership development and coaches business owners to lead with imagination and fuel decision making with data. 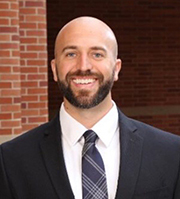 Mike received his MBA from UCLA's Anderson School of Management and is currently a Brand and Corporate Strategy Professional at Johnson & Johnson.